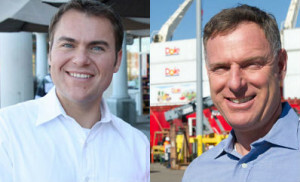 Two former Chamber of Commerce presidents took issue Saturday with the U-T San Diego‘s support for Carl DeMaio in the race for Congress in the 52nd District. The U-T said in it’s editorial that “Peters’ entire political career has reflected his fundamental timidity. Sixteen months ago, he went to Washington, and he disappeared. The 52nd District includes Coronado, La Jolla, much of the City of San Diego, and Poway.